The Lorenz curve has been for several decades the most popular graphical tool for visualizing and comparing income inequality. As we will see, it provides complete information on the whole distribution of incomes relative to the mean. 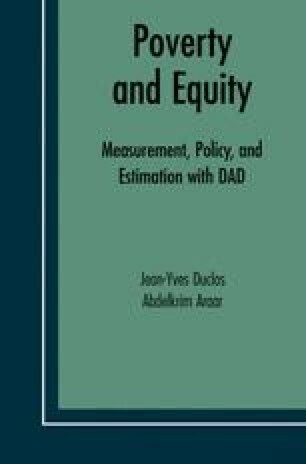 It therefore gives a more comprehensive description of relative incomes than any one of the traditional summary statistics of dispersion can give, and it is also a better stalling point when looking at income inequality than the computation of the many inequality indices that have been proposed. As we will see, its popularity also comes from its usefulness in establishing orderings of distributions in terms of inequality, orderings that can then be said to be “ethically robust”.